We are excited to announce that we have acquired "Charlie" to be bred to Bugsy. She is co-owned with Carol Arbuthnot of Mesa, AZ. "Charlie" quickly finished her championship on 5/18 with a Best of Opposite win. The next day, she won Best of Breed over multiple specials. In the following three weekends that she was shown, she earned her Grand Championship. She is #20 PWD and #5 PWD in the conformation standings (through 9/30 Canine Chronicle). During her three weeks as a special she won the Northern California PWDCA Supported Entry, 5 BOB's, 7 BOS's & a select. 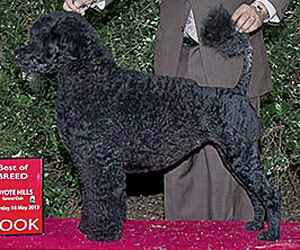 Winning each time, she obtained 43 GCH points in those three weekends with 8 GCH majors. "Bugsy" was owner handled from the puppy and Bred-by class. He is an AKC Grand Champion, UKC and International Champion. 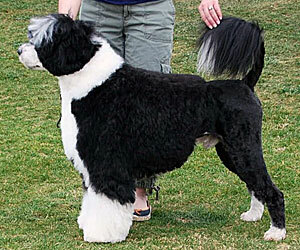 He has won a UKC Multi-Breed Best in Show and a Best Bred-by in Show. His flashy good looks mirror his outstanding temperament.